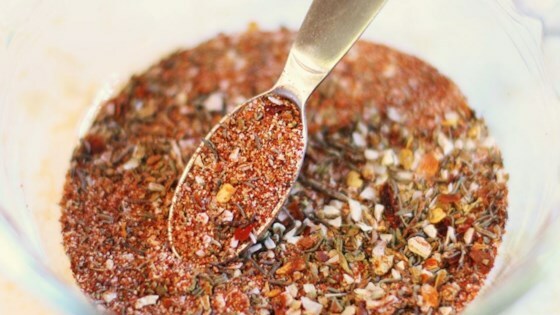 "This is a mildly hot Cajun spice mix you make yourself with common spices from your pantry. For those who like it hotter, add the optional crushed red pepper. This makes a great oven Cajun hashbrowns!" Just the average spice mix....nothing grand about it. Thanks for sharing the recipe though. Excellent. Used for Cajun chicken Pasta from this sight and on hash browns. I will continue to use this recipe.